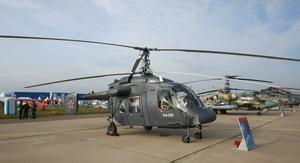 A continuation of the Ka-26 design, the Ka-226 remains modular in its configuration. Maximum internal and slung loads are 1400 kg and 1500 kg, respectively. There are several versions, including: the Ka-226A rescue version, with 9 seats and a rescue winch with a lift capacity of 300 kg; the fire fighting version; the passenger version, equipped with 6-8 seats. 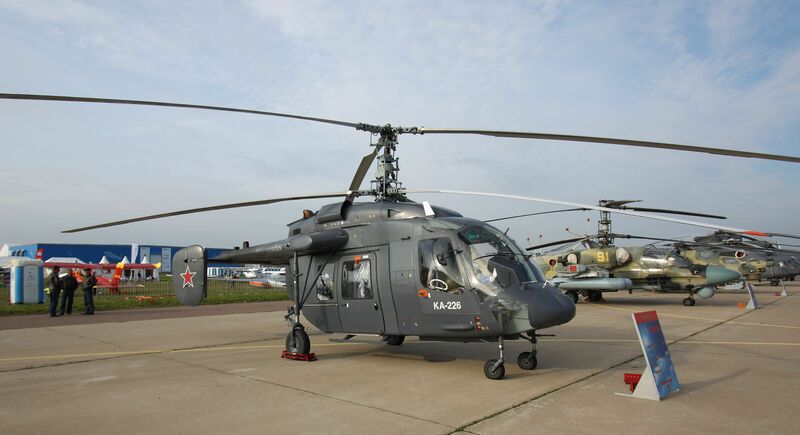 Resources related to the Ka-226 Sergei, provided by the Vertical Flight Society. Resources related to the Ka-226 Sergei, provided by public sources across the internet.